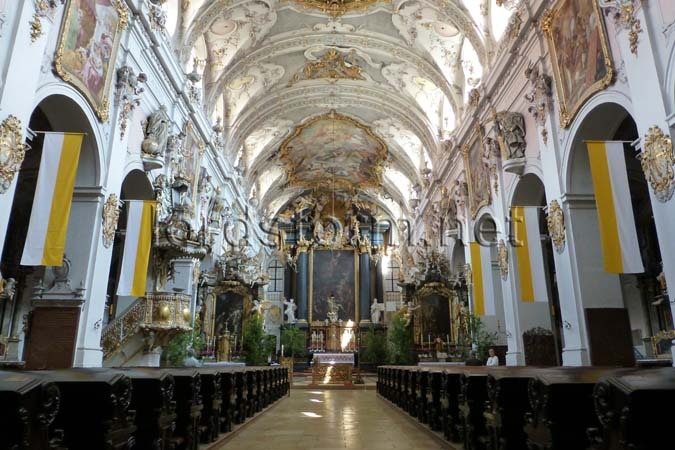 Looking down the central nave of the richly decorated St. Emmeram basilica. Originally a Romanesque church, it was given baroque features in the 18th century. The former Benedictine abbey was one of the most important monasteries in Bavaria.